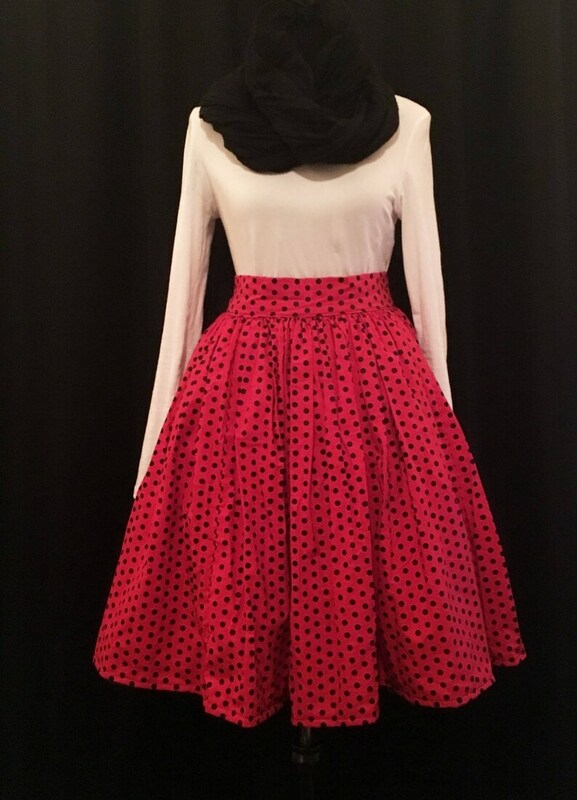 This beautiful teacup style red and black polka dotted skirt is gathered at the waist. 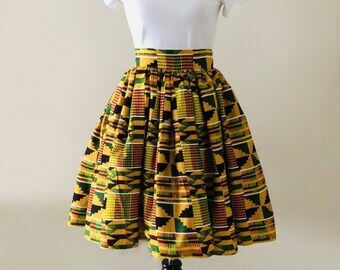 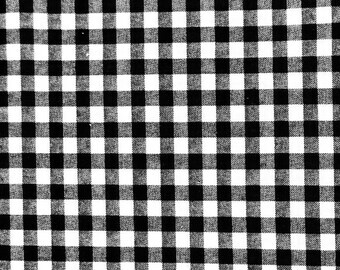 This skirt sits high on the waist and is measured 24 inchesin length from the waistband to the hem. 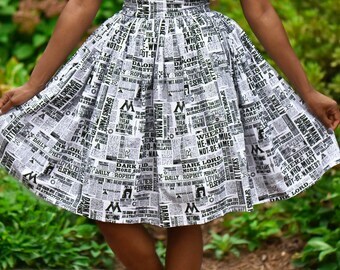 This sassy and chic skirt is definitely a statement piece. 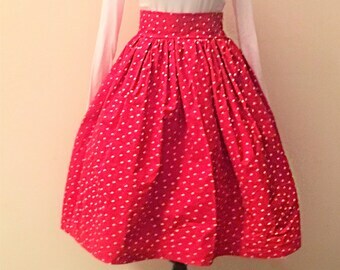 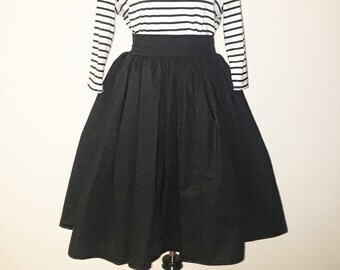 With it's ladybug appearance this skirt would go great with a short sleeved black top or a long sleeved top. 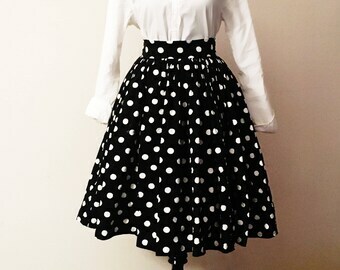 To give this skirt a fuller look an tulle lining is added.